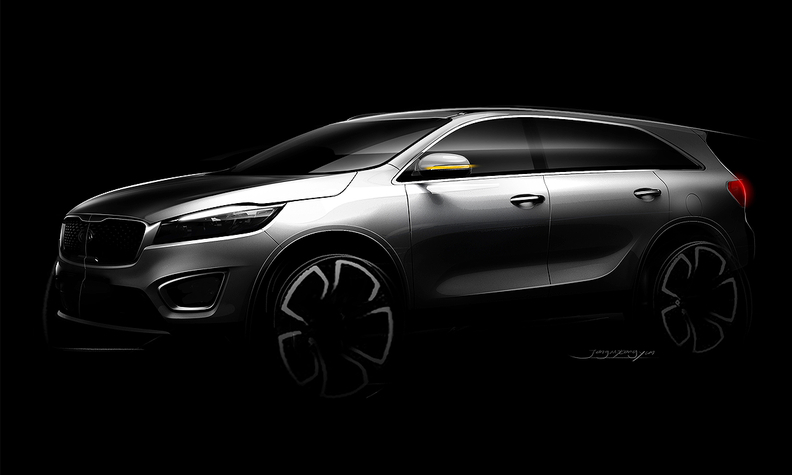 The redesigned Sorento gets Kia's 'tiger-nose' grille. Kia has given its Sorento a bolder look for the third-generation of the SUV. The revamped crossover features "a lower roofline, higher beltline, more muscular stance, rounded shoulders at the rear and deeply sculpted body surfaces," Kia said in a statement Tuesday. 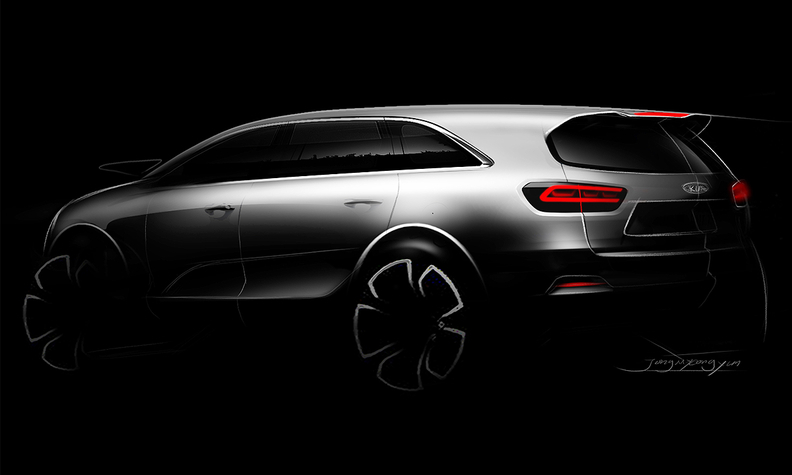 Kia released sketches of the SUV, which will compete with models such as the Nissan X-Trail and Mitsubishi Pathfinder. The new Sorento has more rounded shoulders. The Sorento gets the larger, more upright 'tiger-nose' grille that features on other models in the company's range. It was designed at Kia's studios in Korea, Germany and the United States. After its introduction in Korea at the end of August, Kia said the Sorento will make its European debut on Oct. 2 at the Paris auto show.